Solution in the morning. 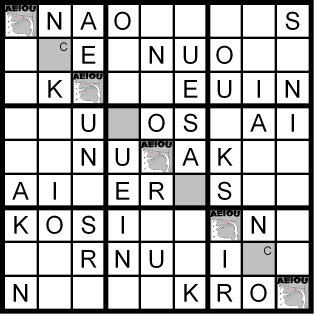 And tomorrow, being October 1, we'll begin a series of studies of what I've coined "Qudoku" puzzles, combining Word Sudoku puzzles and quips, quotes and various word forms. 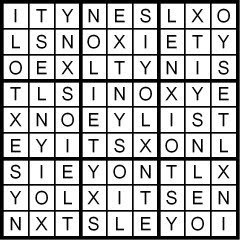 Yesterday's daily Classic 9x9 Word Sudoku puzzle was based on the word XYLONITES, which is the old word for celluoids. 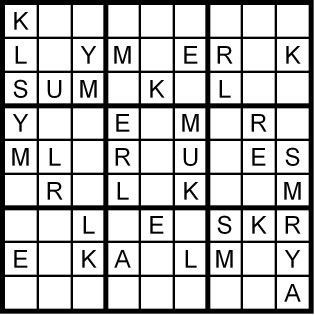 A new daily Word Sudoku puzzle for you in just a bit. 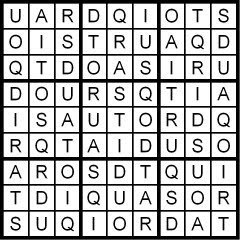 And beginning tomorrow, we'll break from the usual daily Word Sudoku puzzles to present you an in-depth series of "Qudoku" puzzles, combining Word Sudoku puzzles with quotes. 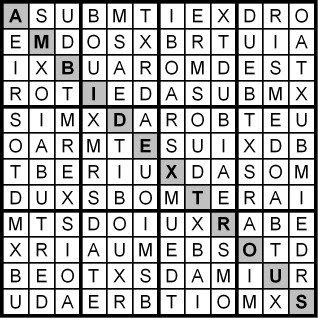 A new Word Sudoku puzzle, of the normal 9x9 variety, coming your way in a few hours. 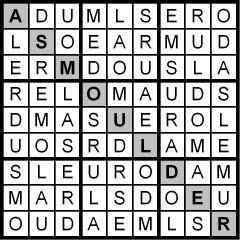 Today's 12x12 Hidden Word Sudoku Puzzle--aka the Sunday Challenge--is based on the letters in the anagram MRS TEN POLICY. Good luck! Solution first thing in the morning. 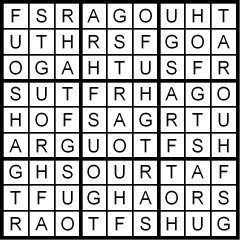 And don't forget--beginning Wednesday, October 1, I'm presenting more than a weeks' worth of "Qudoku" puzzles in all sorts of Sudoku grid sizes; A Qudoku puzzle is a combination of Sudoku and a quote, where the Sudoku solution feeds letters to the quote. I think you'll like the variety and challenge it will provide you! Your Sunday Challenge in a bit. Solution in the morning. And then later tomorrow, the Sunday Challenge. 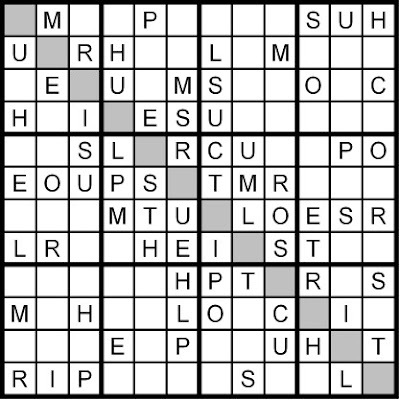 The every-other-Saturday Diagonal Word Sudoku puzzle coming right up. 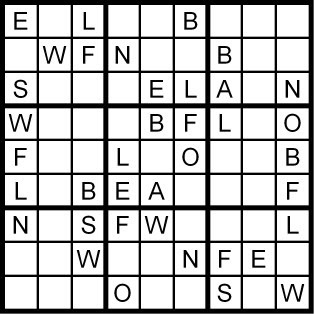 And next Wednesday, October 1, we'll depart from our usual daily Classic Word Sudoku puzzle for a few days to bring you more than a week's-worth of "Qudoku" puzzles, where you first solve a Word Sudoku puzzle of varying grid size, and then use some of the letters to feed a quote. 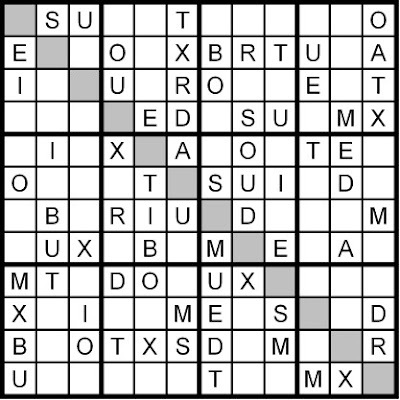 I've presented a few Qudoku examples here in earlier blog entries, but they were usually of Sudoku grid size 16x16, which are very difficult. 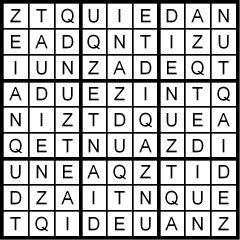 In October, I'll show you how the grid size can be made manageable, and I'll demonstrate the wide variety of quips, quotes and word forms that can fit into the puzzle form. That's beginning next month. 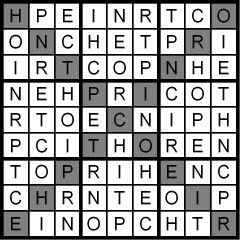 Solution in the morning, followed by the Saturday Diagonal Word Sudoku puzzle and then Sunday with the 12x12 Sunday Challenge. This was harder, but it was also fun, wasn't it? 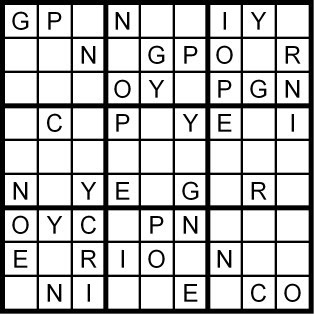 Different-sized Sudoku puzzle grids add a bit of spice--don't they? What do you think? Please let me know. 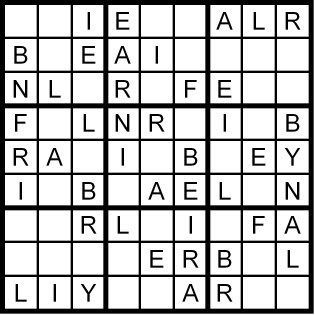 A new puzzle for you in a few hours. 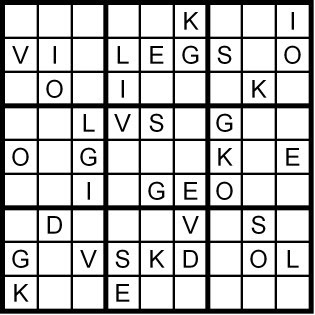 Tomorrow's entry will be a Diagonal Word Sudoku, so please "come on back!" 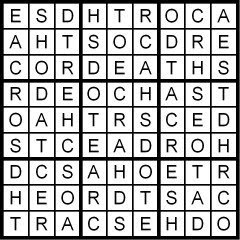 Two puzzles for you today! 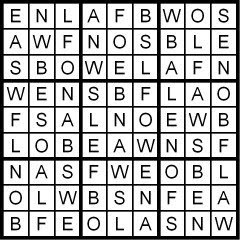 After you've polished off that easy one, here's another that may be a bit larger bite. 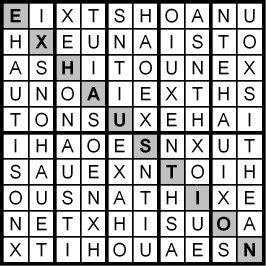 It's a 10x10 Hidden Word Sudoku puzzle. 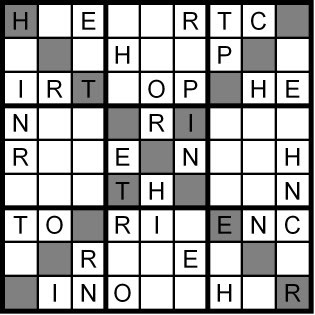 Given the letters in the anagram HEINOUS TAX, solve the Sudoku puzzle, spelling the hidden word or phrase down the diagonal. Solutions in the morning, as usual. 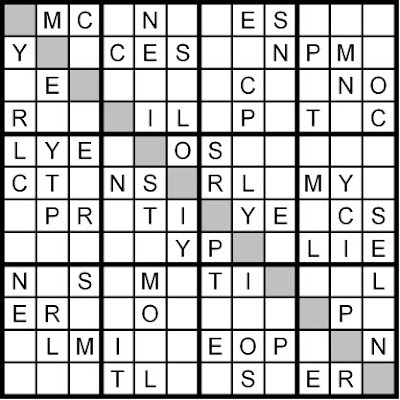 We're getting close to the weekend; Stop by Saturday for a Diagonal Word Sudoku puzzle, and Sunday, of course, I'll throw you my customary Sunday Challenge--a 12x12 Hidden Word Sudoku puzzle. 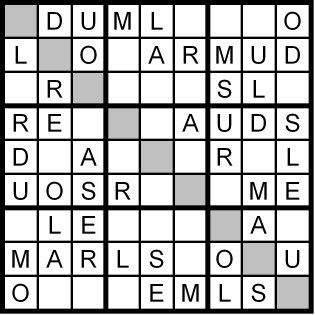 And next week, beginning October 1, we'll take a week-long (or so) departure from the usual daily Classic Word Sudoku puzzle, and present a series of "Qudoku" puzzles--my term for Sudokus whose solutions feed letters into a quote. 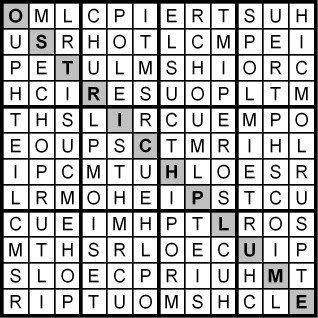 Sort of a poor man's cryptogram, since you don't have to have any 'cryptogrammatical' skills to discover the quote--only Sudoku skills. You've seen a few already in this blog, but I'll put them in perspective--and provide you quite a number of hopefully fun and moderately challenging puzzles in the process! 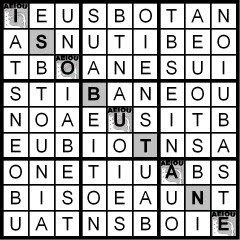 Two puzzles in just a bit, the second one a bit harder than the first! Solution first thing tomorrow. 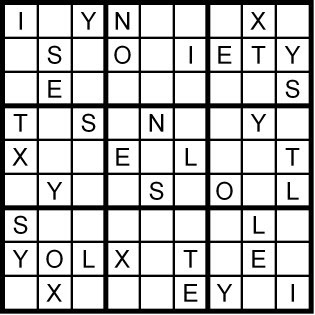 And later tomorrow, two puzzles for you--the second a 10x10 Hidden Word Sudoku puzzle with internal 2x5 rectangles. A new puzzle in a few hours. And one week from today is the first of October. 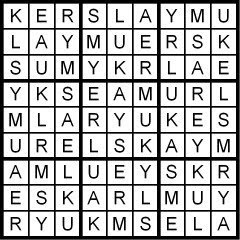 I'll be taking a different puzzle tack for the first week or so of the new month, so please make sure you visit then! Solution first thing Tuesday morning. Solution first thing in the morning! 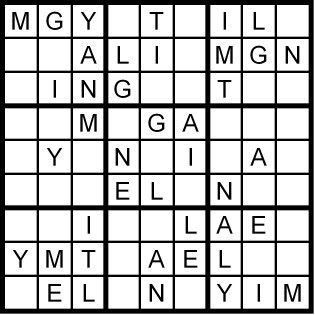 Please don't hesitate to comment--what do you think of these 12x12 puzzles? Too hard? OK? Too easy? I'd love to hear your opinion. The Sunday Challenge coming your way in a few hours! 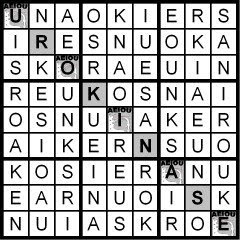 Today's Classic 9x9 Word Sudoku puzzle is based on the words WOLF'S BANE-just leave out the apostrophe! Solution first thing tomorrow morning. And then a bit later tomorrow, the usual Sunday Challenge! Solution first thing Saturday morning. A new puzzle for you this Friday, in just a few hours. 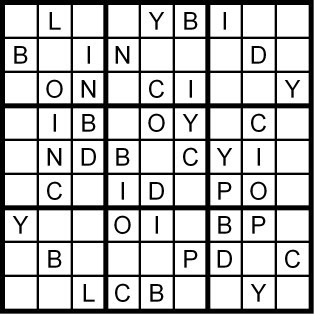 Two puzzles for you today. 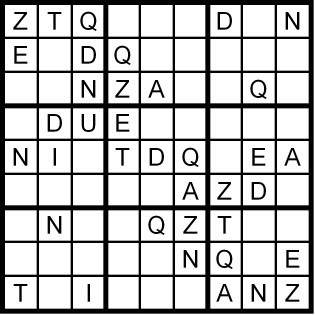 The first, the normal 9x9 Classic Word Sudoku puzzle, is based on the word QUANTIZED. 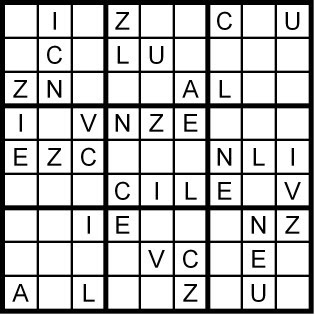 The second puzzle is a Hidden Word Sudoku puzzle based on the letters in the anagram ALSO DEMUR; the hidden word or phrase is spelled down the diagonal. 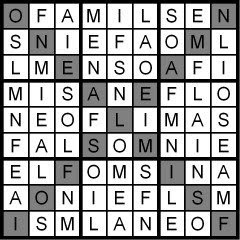 Two new puzzles in a few hours, the second a Hidden Word Sudoku puzzle. Solution tomorrow morning, bright and early! 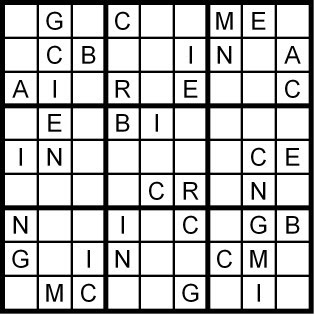 A new puzzle for your solving pleasure in a few hours. 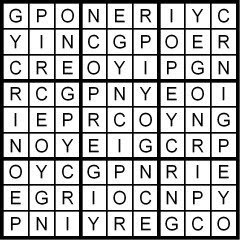 A new puzzle coming your way in a bit. 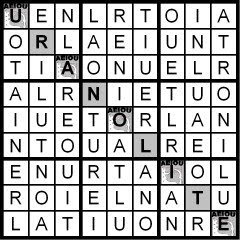 And, finishing up our through-the-weekend AEIOU Sudoku puzzle theme, here's the final puzzle I'll present as a possible solution to NPR Puzzle Master and New York Times Crossword Editor Will Shortz' poser on a recent NPR Sunday Puzzle feature: Find a nine-distinct-letter word using all five vowels, where the vowels occupy the odd-numbered letter positions. 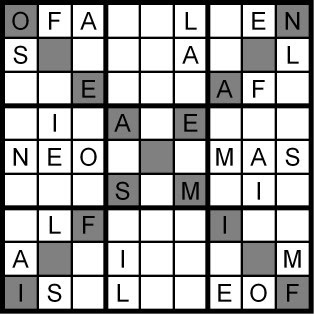 The hidden word runs down the diagonal; the anagram you get to work with is INSURE A OK. 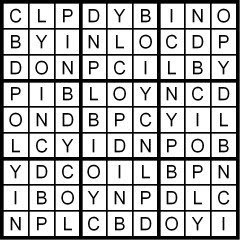 It is no clue whatsoever to the hidden word! It's just an anagram. A uranolite is a meteor, by the way. 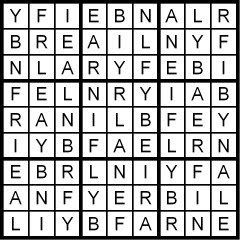 A new puzzle in just a bit. 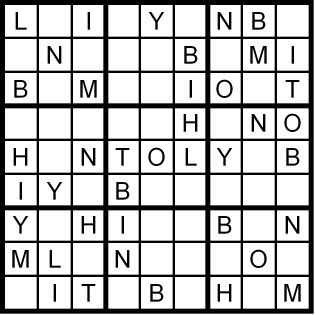 Please be sure to come back: Later this week, I'll give you a bonus 9x9 Hidden Word Sudoku puzzle. They're easier than the 12x12's! 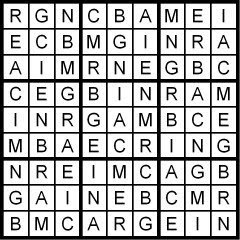 Today's Sunday Challenge is based on the letters in the anagram MATRIX BODE US. 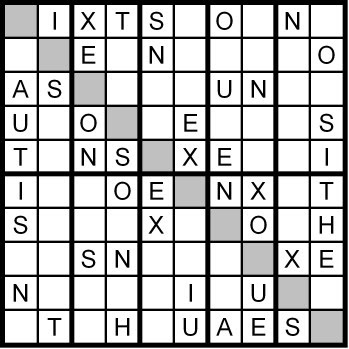 Solve the 12x12 Word Sudoku puzzle and spell out the hidden word or phrase down the diagonal. Solution first thing in the morning. Good luck! The Sunday Challenge coming your way soon! 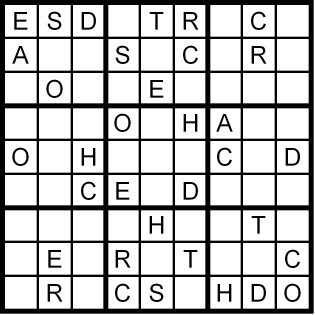 Today's 9x9 Diagonal Word Sudoku puzzle is based on the word NEPHROTIC, which, anywhere else, might be a bit creepy...but not here! 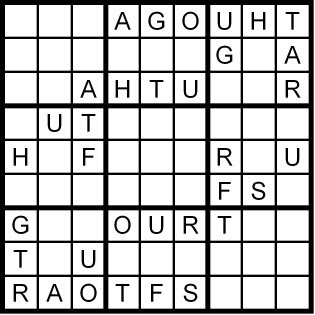 And, continuing our theme this week of AEIOU Sudoku puzzles, here's another puzzle with one of the two most common words fans of NPR's Sunday Puzzle turned in as answers to NPR Puzzle Master and New York Times Crossword Editor Will Shortz' wonderful poser: Find a nine-distinct-letter word using all five vowels, where the vowels occupy the odd-numbered letter positions. 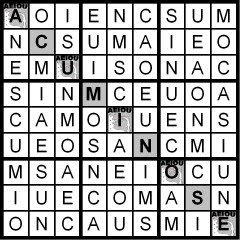 The second AEIOU Sudoku puzzle was based on the letters in the anagram I CLEAN OUT--this was one of the two most common words fans of NPR's Sunday Puzzle turned in recently, in response to NPR Puzzle Master Will Shortz' poser: find a nine-distinct-letter word using all five vowels, with the vowels occupying the odd-numbered letter positions. 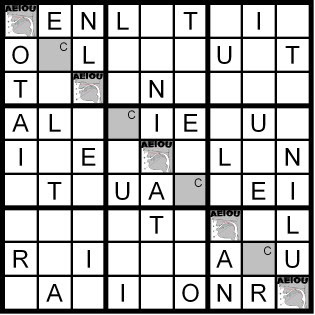 A Diagonal Word Sudoku puzzle and another AEIOU (odd) Sudoku puzzle coming your way in a bit! 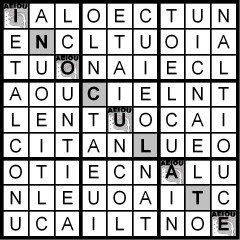 Your second puzzle today continues the AEIOU theme I began yesterday, where I'm presenting puzzles that answer a puzzler posed by NPR Puzzle Master and New York Times Crossword Editor Will Shortz: find a nine-distinct-letter word using all five vowels, where the vowels are in the odd-numbered letter positions (so the word is in the form VCVCVCVCV, where V=vowel and C=consonant). Yesterday I presented you the first of the 10 possible solutions I found. 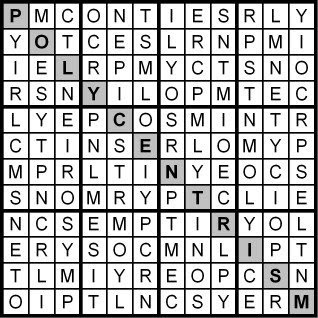 I will probably present you the five or so most common words as puzzles; the remainder are, if not downright arcane, at least unusual or quite specific to a scientific domain. Here's the next one. Solutions first thing in the morning. 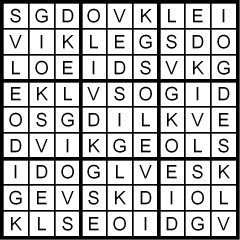 Later Saturday, I'll present a Diagonal Word Sudoku puzzle. 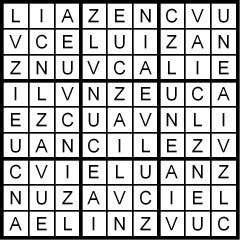 And of course, on Sunday, I'll present you with a tougher Sunday Challenge, a 12x12 Hidden Word Sudoku puzzle. 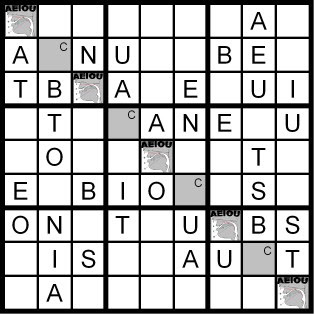 The second Word Sudoku puzzle I presented you yesterday was one of my AEIOU Sudoku puzzles, where the hidden word uses all five vowels; I also added the caveat that the vowels were in the odd-numbered letter positions. 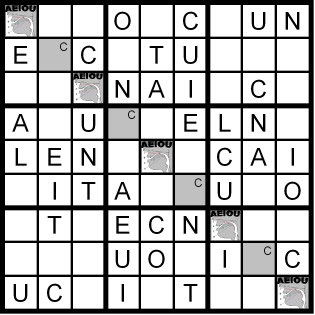 The anagram of the hidden word was SO MAIN CUE. 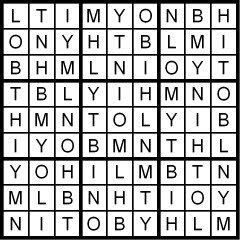 Two new puzzles for you in a few hours.